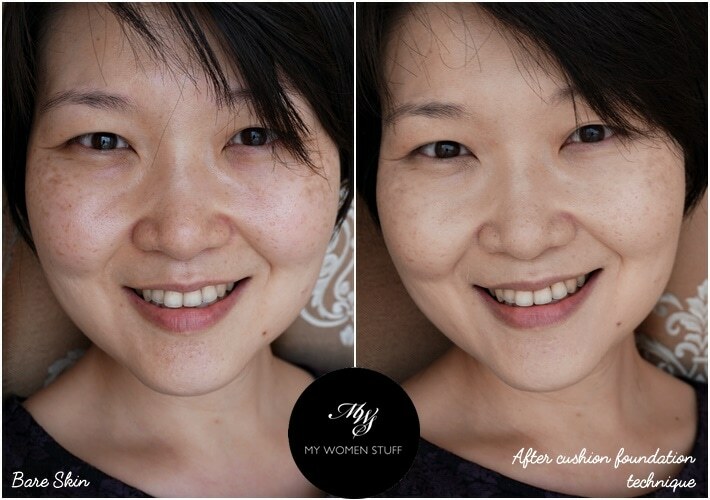 If I have heard one common lament with users of cushion foundation (myself included), it is this – the coverage is too sheer and light. Yes, there are some brands that make cushion foundations with higher coverage, but they are the exception rather than the norm. Most take on a lighter, sheerer, more dewy texture on skin which makes it an excellent touch-up product, but when used on its own, isn’t as flattering unless you have beautiful skin. 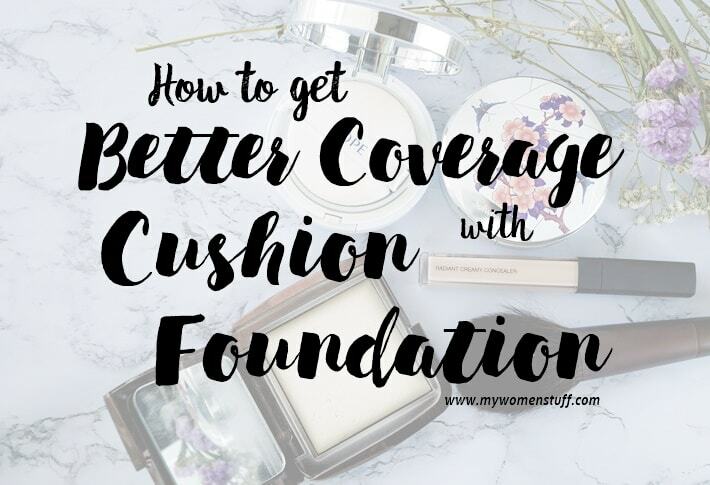 Well, let me show you how to get better coverage with cushion foundation, using a simple step-by-step guide! Before you start, you have to assemble a few items first. The secret here is really all about thin, light layers of makeup, as I will show you. As promised, here’s the step-by-step picture tutorial on how you can get better coverage with cushion foundation of your choice. Starting out with a bare face – skincare and sunscreen only. Dab your concealer where you need it. In my case, it is under the eye area (draw an upside down triangle towards your cheeks, to lighten the under-eye area more naturally), along the cheekbones and around the nose. Blend gently with fingers or a sponge, as you prefer. Pick up your cushion foundation, press the sponge into the cushion to pick up product, and then apply to the skin by pressing the sponge against the skin in a slow patting motion. This makes the foundation adhere better to the skin than if you were to use any other tool. Trust me on this. Repeat as required, applying a thin layer of the foundation on your skin. You will find that the coverage is better when you layer over the concealer, and on the parts that don’t need concealer, it evens out your skintone so you don’t need to layer very much product. Take a large fluffy brush, tap into the pressed powder and apply on your skin where you need it – forehead, nose and perhaps lightly on the cheeks to set your base. These are also the areas that tend to oil up more quickly so the powder makes the base last longer. You don’t have to apply it all over. No base on left, and just using the technique I showed you here on right. No other makeup applied. It isn’t a full coverage base, as you will notice, but it covers the bases, as it were, and offers a very lightweight finish, quite different from using a regular medium coverage liquid foundation. It also lasts quite well, and you can then use the cushion to touch up along the way, if you prefer. While most of us might apply the foundation first and then apply the concealer where we need it, I found that this technique allows you to actually identify where you need the concealer most, and because the concealer has a creamy texture, it sticks to your skin better than when you do it the other way around. Cushion foundation often is more dewy so it might cause the concealer to move around more. This way, it all stays put. 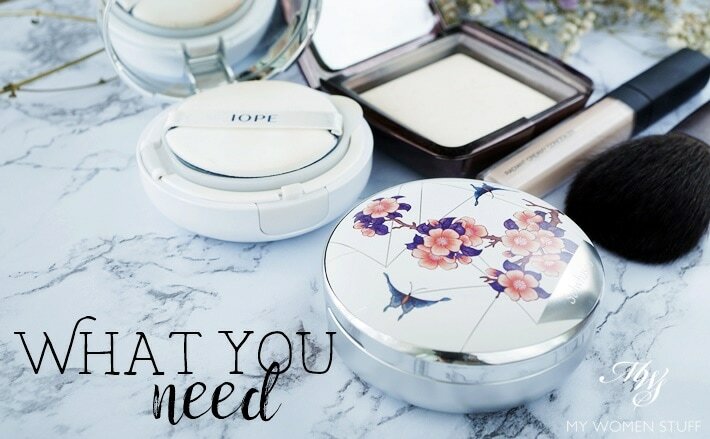 The cushion foundation acts like a touch-up in that sense, offering a little more coverage. Where you don’t really need help, the sheerness of the cushion foundation allows skin to come through, while offering a more even, more natural you-but-better skintone. Do let me know if you try this trick or if you already use it! PREVIOUS POST: Not sure if the Catrice Illuminating Blush is worth your pennies? Coral Me Maybe, I’ll tell you! NEXT POST: PB, PB Quite contrary, how does your edible balcony garden grow? The powder as the last step is important for us at high humid area as it helps to set our makeup (another thing I just learned after years of blindly following the steps, hehe). LOL At least you got tips from the brand who knows their business! 😀 Did you try it yet? I never got the hang of corrector, but I use concealer and this actually makes it so much easier for me to wear cushion foundation more readily. And yes, powder is quite necessary here where we live, so it sets liquid products or we risk them moving around on our faces. Not nice! Not sure what you mean by magical benefits of cushions decreasing? I don’t find them magical to start LOL! 😉 but they do dry out, so maybe that’s it? I usually do concealer after the cushion foundation on the problem areas. Shall try this method and see if there’s any difference. Oooh, will try try this! I will try this tomorrow! Like you said I usually do foundation first, then concealer, followed by a light brushing of powder all over but I’m curious to see if this way will look better! Did you notice any difference? I usually do concealer after foundation with liquid foundation. But for cushions I find this way more effective 🙂 Hope you did too! Nice, Rinnah! 🙂 You’re right, it does make it last longer too. Thanks for the blush tip Alyssa! I think that would be excellent if using a liquid/cream blush or cheek stain. More muted too! Wow! 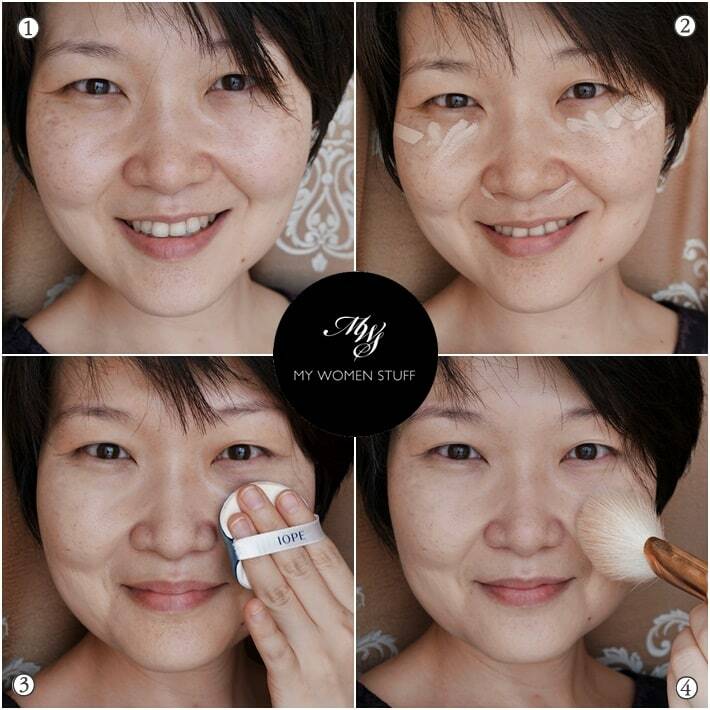 I can’t believe the great results that you got from applying the cushion foundation in the reverse manner from what every source has ever told me! I know what I’m going to try tomorrow when I put on my makeup. I have one question, though: I have a large scar on my forehead, it covers about 1/3 of my forehead. Do you think I’d get okay results if I apply concealer to it (I can make it disappear fairly easily with any concealer or even full-coverage foundation) and then apply my cushion foundation over it? I have so many of them, I bought them before I had my car accident, and I’m so excited to possibly be able to use them again! P.S. I am a very new reader (less than a month) but I really enjoy your blog. Thanks for the awesome writing and honest reviews! i just want an advise on how to cover up for pigmentation that will last 8 hours. by using compact cushion foundation along will not last. I will get patchy here and there around 6 hours after makeup. i find that adding primer, liquid foundation underneath cushion foundation and powder then cc cream on top. Then it will last. But this takes a lot of time. Hello?..i just want to ask after applying bb cream do i need to apply cushion? Because some people says that no need to apply cushion if you apply bb cream and the other side apply bb cream first and then cushion .so i don’t know what is the right for applying .thank you so much!?? Hi! May I know what brand of concealer u are using and can i use the same concealer for dark circles to cover my acne scars? Thanks in advance! Hi I use the Nars Radiant Creamy Concealer, and yes you can use the same concealer for under eye and blemishes. The difference might be in the texture and coverage you need, depending on how much you need to conceal.